Absorption and transmission measurement of liqid samples at up to 9 wavlengths. The touch screen is used for soft key functions and alphanumerical inputs which allow easy handling for example batch name, user etc.. The wavelengths are selected via the touch screen. 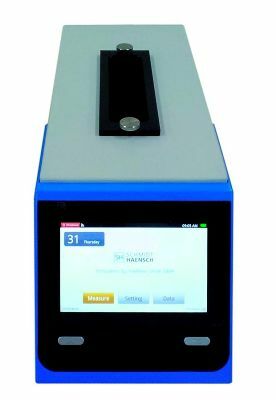 Three wavelengths are pre-installed as standards, optional the Coloromat 100 can be equipped with six further customized wavelengths in the range 340 – 900 nm.